Research the entire Acura vehicle lineup with a little help from your First Coast Acura Dealers virtual showroom. Whether it’s a matter of personal style or everyday needs, your First Coast Acura Dealers can help you find the right vehicle to suit your lifestyle. Luxury sedans like the ILX, TLX, and RLX offer car shoppers the perfect blend of power and efficiency. If you’re a Jacksonville family that requires more interior space and versatility, the RDX and MDX are two SUVs that were built to meet any challenge. For the ultimate in sports car luxury, the NSX can’t help but make a statement with unapologetic style, performance, and technology. Scroll through the First Coast Acura Dealers virtual showroom now to explore new models and access local Acura incentives. The Acura ILX is affordable luxury at its best. A compact sport sedan that doesn’t break the bank, ILX keeps high-end, standard features well within reach of discerning Florida car shoppers. With every model offering a power moonroof, front heated seats, LED headlights, and AcuraWatch™ driver-assist technologies as standard, ILX welcomes any luxury car comparisons. Click on the explore button now to learn about performance figures, design packages, trim level features, and more. Young professionals and First Coast families alike can all agree, the Acura TLX is a practical midsize sedan with style, technology, and performance that’s anything but practical. Not only does the TLX offer three spirited powertrain choices, it also comes loaded with standard features ranging from entertainment to safety. Side-by-side comparisons show that TLX may be the most advanced and well-equipped performance luxury sedan in its class. Click on the explore button now to check out engine options, paint colors, trim levels, and more. Transport your family in style behind the wheel of the Acura RDX. This luxury crossover SUV packs enough space for both kids and cargo, while standard equipped AcuraWatch™ ensures protection from every angle. Surprisingly spacious for its size and brimming with standard, high tech features, the RDX was designed for road trips. Jacksonville car shoppers who compare the RDX to the competition will appreciate this crossover’s impressive value. Click on the explore button now to learn about performance, design packages, trim levels, and more. There is a reason why the Acura MDX is the best-selling third-row luxury SUV of all time. Actually, there are countless reasons why this SUV is so popular throughout the Sunshine State. Drivers will enjoy the 290-hp, 3.5L V6 engine. Families will love the spacious interior that seats up to seven passengers, comfortably. Everyone will appreciate the peace of mind that comes along with standard-equipped AcuraWatch™ driver-assist safety technologies. As one would expect, competing SUVs within the segment struggle to keep pace with the MDX in direct comparisons. Click on the explore button now to view paint color options, performance specs, cabin amenities, and more. 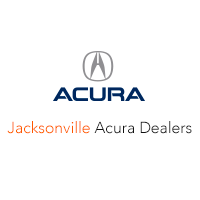 No matter which Acura model fits your everyday lifestyle, your nearest First Coast Acura Dealers location will help you answer any questions you may have. Contact us now to schedule a test drive or learn more about a specific model and we’ll be happy to assist you.